This seems to be Imran's next project after Gori Teri Pyaar Mein; it is sometimes described as a "Gujarati superhero" movie but seems to more accurately be a "Gujarati man of the people/vigilante" movie, with the main character being compared to Batman (in the sense of someone who survives by his cunning and physical training rather than having actual superhuman powers.) Imran did pretty well with the parkour and hand-to-hand stuff in OUATIMD and his natural earnestness seems like a good fit for this kind of role, but beyond that I have no idea what him teaming up with Vikramaditya Motwane (of Lootera) on this kind of project would look like. Interesting, for sure. I have read on some gossip sites that the producers are keen to replace Imran Khan with a more bankable actor following the flops of MKBKM, OUATIMD and Gori Tere Pyaar Mein. If that is true (and I hope it isn't), my bet would be on Ranveer Singh who alredy teamed up with the director and recently delivered a hit with Ram Leela. Yeah, I could see Ranveer getting the role if Imran is dropped. I haven't seen anything about a cast change except that Rajeev Masand blind item, so I'm kind of suspending judgment until it's announced. Lootera proved to be an expensive, highly uncommercial film, so the director and the whole project may be under scrutiny. This article deals with some stalled movie projects; looks like Bhavin/Bhavesh Jsohi is one of them: timesofindia.indiatimes.com/entertainment/hindi/bollywood/news-interviews/When-will-these-films-breathe/articleshow/28285686.cms? 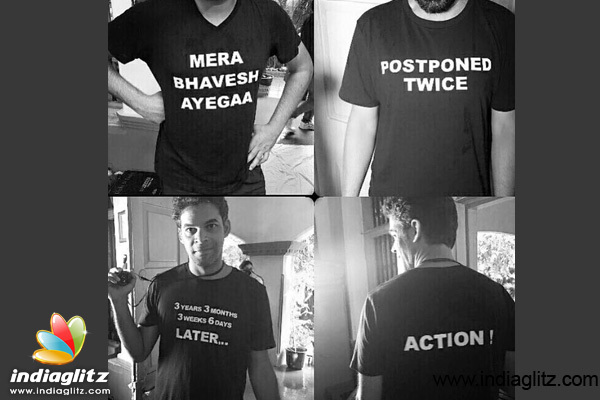 Filmmaker Vikramaditya Motwane today confirmed that “Bhavesh Joshi“, which was supposed to be his third directorial venture, has been shelved. Motwane, 38, said the script of “Bhavesh Joshi” does not fit in the current scenario. “But I feel when the context changes, it is very difficult to go back to the script. It requires rewrite, you have to go the scratch, you can’t change things in pieces,” the director told PTI during a visit here. Motwane made his directorial debut with “Udaan” followed by Sonakshi Sinha and Ranveer Singh’s romantic film “Lootera”. He is the co-owner of Phantom Films, a film production company, with Vikas Bahl, Anurag Kashyap and Madhu Mantena. Motwane said he is back to the drawing board for his next project as a director. His slate, however, is full this year as a producer with “Bombay Velvet”, “Shandaar”, Dhoomketu” and “Udta Punjab” as the upcoming projects from Phantom.